A rare opportunity to purchase a beautifully presented FOUR bedroom DETACHED home, located on the desirable Okus Road. The UNIQUE property enjoys an elevated position, generous plot & fantastic, FAR REACHING VIEWS. The property itself has been immaculately finished, and offers flexible and versatile living accommodation, to include; Entrance hall, living room with French doors opening straight onto a decked balcony area, that receives the evening sun and looks out over the garden and beyond. There is a stylish, modern fitted kitchen breakfast room with a range of integrated appliances, to include, dishwasher, oven, hob and extractor. 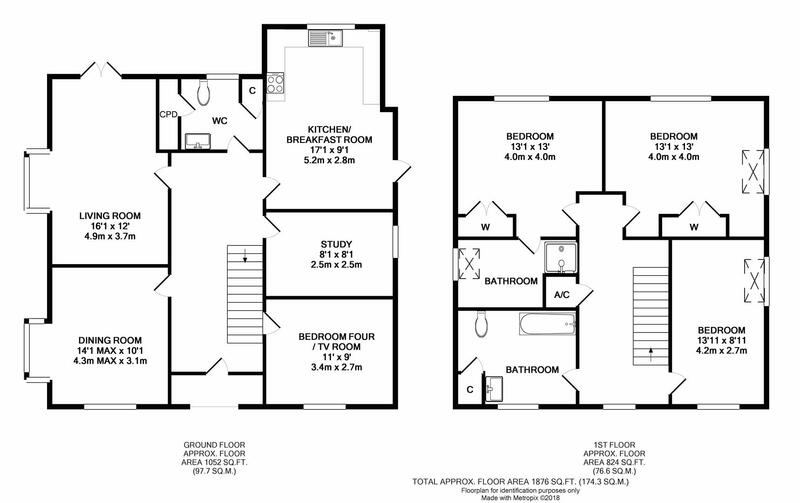 The ground floor offers three further reception rooms; a dining room, study and fourth bedroom or TV room. There is useful cloakroom with two storage cupboards. There are three large double bedrooms to the first floor, with an en suite bathroom to the master, plus main family bathroom. Okus road : Okus Road is a much sought after location in the heart of Swindon’s popular ‘Old Town’. The property is ideally situated for Old Town’s many amenities which include; pubs, restaurants, coffee shops, newsagents, supermarkets, doctors and dentists. The town centre is only a short distance away and J15/16 of the M4 are within easy reach. Swindon offers excellent employment opportunities and has a mainline rail station Swindon to Paddington in under an hour. Useful Info : There is underfloor, electric heating throughout the ground floor. The rear garden has two storage sheds both with power, plus an under ground storage bunker. There is gated access to both sides of the house.